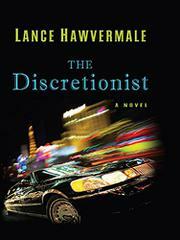 A Las Vegas chauffeur’s well-regulated life veers off track when he makes a dangerous enemy. Micah Donovan, owner and sole operator of the One Cool Gentleman Limousine Service, has made a career of minding his own business. He drives clients where they want to go and asks no questions about what they do behind the smoked partition of his fancy stretch limo. Nor do they ask anything about him; as a black driver in a black tuxedo, he’s as good as invisible. He’s also compulsively orderly and devoted to his work, even though his only friend, ex-cop Ernie “Tully” Tullmacher, is always after him to have a little fun. Micah has good reason to hate Tully because of a past accident, but the old man is all he’s got. His carefully constructed life changes forever the night he picks up Austin Savlodar, a wealthy man with criminal ties, and breaks one of his own rules: He turns on the intercom and learns a disturbing fact about his passenger. Micah breaks a second rule when he steps between Savlodar and Katelyn Presley, a pretty dancer. It’s more than her bright blue eyes that make Micah take a risk and go on the run with her when he unwittingly starts a chain reaction of vengeance and violence. Those eyes see past the tux Micah has worn as a shield, and Katelyn teaches him more than just how to waltz while they’re in hiding. You can’t help rooting for the heroine to work her sweet and saucy magic on the cautious hero. When they face an even more relentless foe than Savlodar, Micah wonders if he’ll ever get his old life back, or any life at all. Luckily, Hawvermale (The Tongue Merchant, 2008), balancing suspense with character study, includes enough pauses between the adrenaline-pumping scenes to give his leads the time they need to grow.